This is a blog hop hosted by Sugar and Nola. We got some sun after the storm the previous night. We got 17″+ the night before. Thanks for stopping by, Dolly! What a fab picture. Love the “dog smile”. Have a great day. He does have a smile! Nice to meet you Laika! Holy Moly that’s a lot of snow for two vertically challenged dogs! I’d lose mine in snow that deep! BOL! Bark More, Growl Less Barking from the Bayou! I know! It was packed though. We had to plow a trail in our backyard so they wouldn’t sink! Oh goodness, what fun! Such a lovely picture, so jealous of all that snow! Looks like everyone is enjoying the snow! 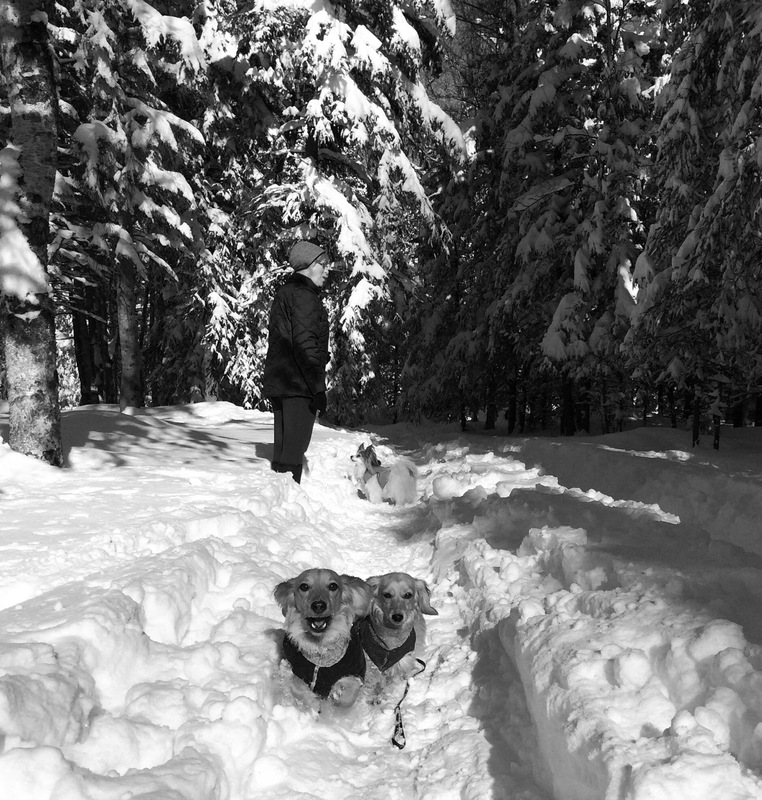 Lots of snow still, but at least it looks sunny and the pups seem to be having fun! They absolutely love it. The snow will be around for a month or so. Thanks for stopping by. Can’t wait for Spring. Thanks for hosting B&W Sunday. We always meet wonderful people through it. Love how happy they are in the snow! Wish I could muster up the same enthusiasm.